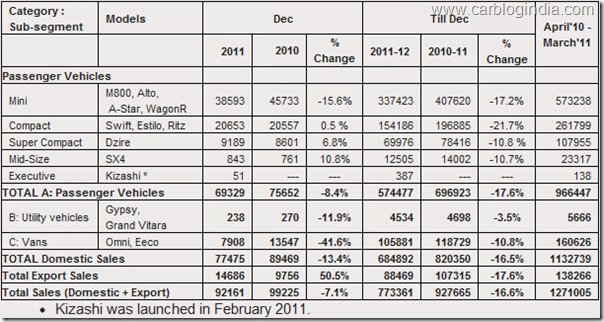 Indian Automobile industry is not going through best of its phases as there has been multi-dimensional impact on the Automobile Industry in India. This impact includes drop in sales because of high petrol prices, high Interest rates, high inflation and cost of living in Indian urban cities. 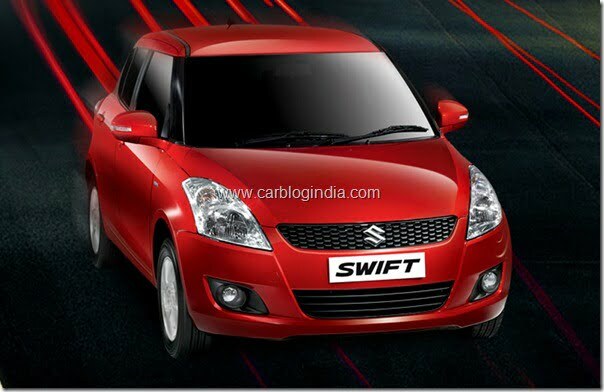 With all these factors adversely affecting car sales in India, even the largest passenger car maker Maruti Suzuki is feeling the heat of the situation. 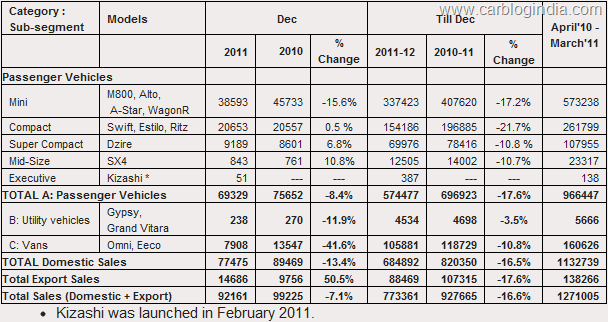 In December 2011, Maruti Suzuki India’s total domestic car sales dropped by 13.4% with a total sale of 77475 cars compared to 89469 cars sold in December 2010. However there has been a 50.5% increase in total export sales which has consolidated the total domestic and export sales to a net decline of 7.1% for December 2011 Y-o-Y. Maruti Suzuki will be launching its new MPV Maruti Ertiga at the Auto Expo 2012 In Delhi and a concept SUV which is scheduled for year 2014 launch. The new year may bring some positive vibes in the Indian automobile market it the macroeconomic factors like inflation, fuel prices and interest rates remain under control. We will be looking forward to the upcoming Auto Expo to see how Indian automobile companies are adapting to tougher and challenging markets.